Three years after it was first announced, plans for the new secondary school at a site off the A427 Oundle Road near Weldon are still at the discussion stage. The free school will be run by Cambridge Meridian Academies Trust. But a spokesman has said the project is under control of the DfE and that control had not been handed over to them as yet. The original proposed opening date was this September – at a different location – and the trust’s website has an opening date of September 2020. But detailed plans have not been drawn up or any building work started. Corby is facing a secondary school place shortage and the county council, which has responsibility for school places, is having to bus some Year 7 children out to Oundle to make sure they have a secondary school place. 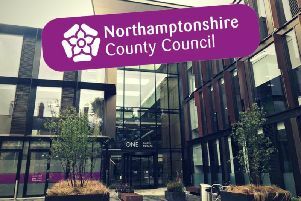 The council’s school organisation plan says that there is currently capacity for 954 secondary school pupils in Corby and forecasts that 1,149 places will be needed by 2022. The new free school is expected to take on 240 pupils in each year group and eventually accommodate 1,500 pupils. The academy was one of 111 outlined by then Education Secretary Justine Greening in April 2017. Free schools are not under local authority control and can decide their own staff salaries and curriculum. Corby MP Tom Pursglove said ‘school places must keep up with housing growth’. He said: “While it has long been the case that a number of young people are educated in schools outside of the town in which they live – as I recall being the case when I was comprehensively educated in Wellingborough, but friends of mine went to school in Kettering, and the fact some young people who live in Kettering go to school in Corby, and vice versa – I absolutely share the ambition that we want all parents to have the choice to have their children educated in the town in which they live.